Following our Annual Audit carried out by the Garden Centre Association earlier this year, last night we were delighted to host the North Thames Region Annual Awards Presentation, and welcomed many of our industry colleagues to the Garden Centre. We were delighted to be listed as a National Finalist for the Ruxley Rose Award, given to the best plant retailers in the Country. The final round of judging takes place in the Autumn, so watch this space! 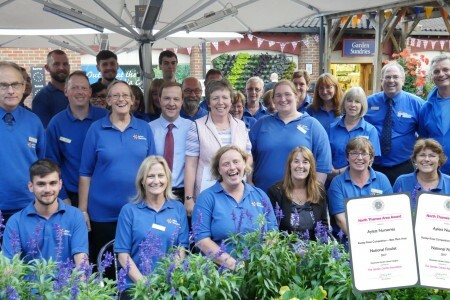 During the evening we also won multiple awards; including the Best Garden Products Retailer, and when all the points were collated, we achieved second place as Garden Centre of the Year, North Thames Region. We are always striving to improve for one reason only – our Customers! Awards are a great recognition amongst our peers, but your vote to shop with us is the one that counts. Thank you for your continued custom. Next Post: Home Grown Primroses – Let the potting commence!